The Deuba Cabinet is the thirst largest ever in Nepal. Nepal PM Sher Bahadur Deuba expanded his Cabinet by inducting 15 more state ministers. 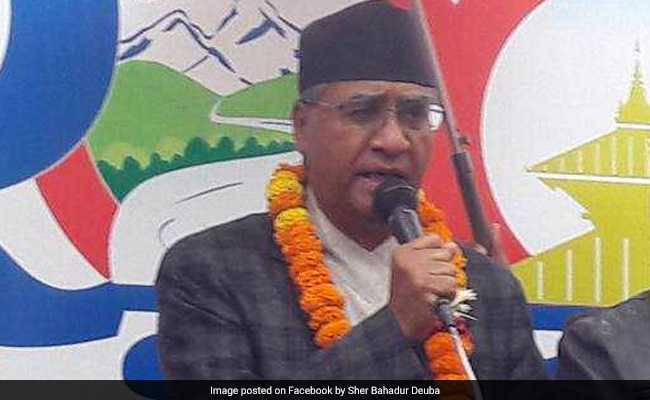 Kathmandu: Nepal Prime Minister Sher Bahadur Deuba on Tuesday expanded his Cabinet by inducting 15 more state ministers, making it the third largest in Nepal's history. With the latest expansion, Mr Deuba now heads a 46-member jumbo council of ministers, which includes three deputy prime ministers, 19 ministers and 23 state ministers. The expansion came two days after Mr Deuba inducted eight state ministers from former Prime Minister Prachanda's CPN (Maoist-Centre) party, a coalition partner in the government. The newly-inducted members were administered the oath at the Office of Prime Minister and Council of Ministers. The expansion comes a day before Mr Deuba embarks on a five-day state visit to India. The Deuba Cabinet is the thirst largest ever in Nepal. In 1996, Mr Deuba, who has become the prime minister of the Himalayan country for the fourth time, chaired a 48-member Cabinet. Baburam Bhattarai, who was the prime minister of Nepal from August 2011 to March 2013, led a Cabinet of 49 members. The newly-appointed state ministers include Seeta Gurung for Physical Infrastructure and Transport; Sarita Prasain for Agriculture Development; Shesh Nath Adhikari for Education; Nar Bahadur Chand for Commerce; Abdul Rajjaki for Drinking Water and Sanitation. Tapta Bahadur Bista for Information and Communications; Amar Sing Pun for Irrigation; Dilman Pakhrin for Law and Justice; Uday Shamsher Rana for Finance; Dilli Bahadur Chaudhary for Labour and Employment. Teju Lal Chaudhary for Youth and Sports; Champa Devi Khadka for Cooperative and Poverty Alleviation; Janakraj Chaudhary for Federal Affairs and Local Development; Sumitra Tharuni for Culture, Tourism and Civil Aviation; and Yashoda Kumari Lama for Lands Reforms. Out of 15 state ministers, the Nepali Congress has 12 ministers and Nepal Loktantrik Forum has three ministers.